Tour2India4Health is top and leading Medical Tourism company of India providing best Brachioplasty Surgery. To avail all the pivotal facilities, you have to do is send us your enquiry, an assistant will contact you within 24 hours for interaction. The rest will be taken care of, so you only have to sit back and relax! Primary services - Arranging visas, accommodation, appointment with top Cosmetic Surgeon by Tour2India4Health Team. Best quality treatment - Treatment by Internationally Accredited Surgeons and hospitals are JCI accredited. Supporting services - Quick visa letter, flight ticket bookings, languagtors, payment methods are made easy, hotel arrangement. I am Mrs Adikoye From Nigeria and was in India for Brachioplasty surgery through Tour2india4health with the best cosmetic surgeon in Mumbai. Brachioplasty surgery back there in Nigeria is very expensive and was aware about medical tourism in India. Due to affordability with guaranty of success, I started looking for medical tourism companies in India, which can help me getting my Brachioplasty surgery in India at a low cost. Indian Company tour2india4health was found to be trustable and reliable with best services and economical price. Completing all the formalities and had my Brachioplasty surgery, with miraculous results I was happy and satisfied. 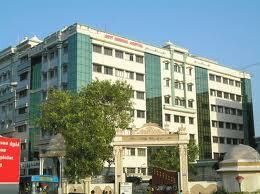 With the best medical facilities, top surgeon, hospital and staff were caring and nice. I am grateful to tour2india4health consultants. I will be more than happy by recommending the services from Tour2india4health for low cost Brachioplasty surgery in India with the best Arm lift surgeon in Mumbai India associated with Tour2india4health Consultant. Brachioplasty is the medical name for an arm lift. An arm lift reshapes the loose skin on the under portion of the arm from the elbow up to the underarm. Loose skin normally occurs is a person is overweight and develops heavy upper arms. The skin of the upper arms can be permanently stretched, causing it to droop down. Liposuction can reduce the amount of fat in the upper arm, but can not address the loose skin. The only cosmetic surgery solution is brachioplasty. Women and men who have loose, flabby, and hanging skin folds of the upper arms after having lost much weight and who can accept some scarring as a trade off for having firmer, tighter, and smaller upper arms, are good candidates for Brachioplasty. However, you have to be sure that you are willing to trade your Bat Wings for the permanent scars that will extend under the arm from the armpit to the elbow. Among this group is a growing population of adults who have had massive weight loss and resulting sagging arms after Gastric Bypass Bariatric surgery. Also there are women who develop flabby arms not because of massive weight loss, but rather as a result of aging and loss of skin elasticity. These women have not been able to tighten-up or firmed-up their arms, no matter how much they have exercised and are the candidates for brachioplasty. If you have a medical condition such as high blood pressure, it must be controlled before you can undergo this procedure. For at least two weeks prior to surgery, you must stop taking any blood-thinning medications and herbal supplements. After you have scheduled a surgery date, you will make an appointment for pre-admission testing and a physical exam. The surgery should take place within 2 weeks after the results of these tests have been returned. You will receive guidelines on eating and drinking, taking vitamins and medications, and smoking. Smoking should be stopped 2-3 months before the operation because it reduces the blood supply to tissue. In fact, some surgeons will refuse to perform elective surgery on smokers due to this risk. You should arrange for someone, to help you out for a few days if needed. Brachioplasty is usually done under general anesthesia. It involves excision of skin along the lower border of the arm and will leave a thin scar along the inside of the arm. There are different degrees of ptosis (drooping) deformity. Brachioplasty can remove the excess tissue and reduce the circumference of the upper arm. Surgical correction depends on the amount of extra skin and how loose the supporting tissues have become. Extra skin is removed from incisions along the inner arm. The incision must be placed where the tissue can be best tightened. The most common incision used for brachioplasty extends from the elbow to the axilla. This permits the excision to maximally address the redundant skin in the middle of the arm. Modification of the incision may be necessary to limit scar contracture in the axilla. Surgical sculpture involves not just the superficial skin, but also the deeper attachments that have loosened. A combined excision can sometimes limit the length of the scar between the elbow and axilla. In cases where there is loose skin of the lateral chest, the incision can be extended to deal with the extra tissue there. Before brachioplasty surgery markings help guide the excision. The actual incision may curve or zigzag to minimize scar contraction. Liposuction can be useful to contour the fat layer. A skinny rubber drain may be used after surgery to remove fluids. Your surgeon will fit an elastic compression garment on your arm to reduce swelling and to help maintain the new shape of your contoured upper arm. A drain may also be replaced if there is excess fluid. You will probably go home in a few hours, or you may stay overnight in the hospital if the surgery has been more extensive. Any pain and discomfort are managed by prescription medications. Swelling will last for 2-3 days and then completely disappear over 2-3 weeks. The sutures and drain (if used) will be removed in 1 week. You should be able to return to work and other activities in 1 week, provided that you do not do any lifting or other strenuous activities using your arms until approved by your surgeon. The new "lifted" appearance of your contoured upper arms will be visible within the first week after surgery. An attempt is made to place the incisions so they are as inconspicuous as possible, and the scars should fade in 6 months to a year depending on the extent of the procedure. A healthy diet and exercise will help maintain the new shape of your upper arms. If a patient is concerned about excess or flabby upper arm skin, the only brachioplasty alternatives that may improve the upper arm appearance is weight loss and muscle tone development through an exercise regime. Even these brachioplasty alternatives cannot guarantee that the appearance of the arms will drastically improve. India offers a low cost Brachioplasty surgery for international patients. In the US, brachioplasty surgery can cost you upwards of $15000, depending on where you get the surgery done. This cost usually does not cover the physical therapy costs. Patients from the US, UK and other developed countries visit India because the cost of surgery in this country is phenomenally low. The price difference between India developed countries is sometimes more than 50%. The drop in cost is paralleled with high quality treatment. Top providers of medical tourism in India are either accredited by JCI (which means they are as good as American hospitals) or have an ongoing collaboration with recognized medical institutions in the US. With the cost of medical care skyrocketing, many patients hesitate before going for surgery, as sometimes the co-pay is very high. With the advent of medical tourism, thankfully, finances will no longer stop you from getting the surgery done. Tour2india4health Group the top most medical tourism company in India having all the top most hospitals in its panel delivering best medical services to the patients. You just have to send us a query regarding Brachioplasty surgery in India and within 24 hours, a patient coordinator will contact you for further details and interaction. From that point everything will be taken care of by that patient coordinator, like arranging VISA, accommodation, appointment with the doctor with round the clock services to make your medical tour hassle free. Tour2india4health Group offers well-qualified and professional doctors, surgeons, physicians, and medical staff who aid you in recovery from your ailment and ensure a safe and healthy journey back home.